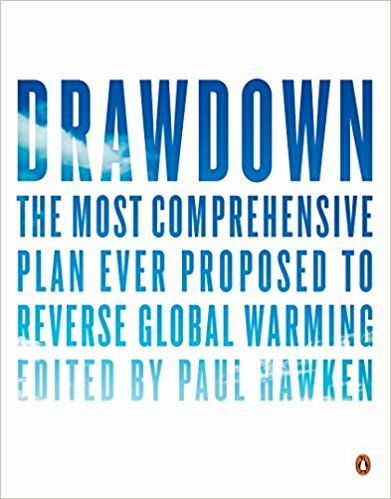 I've recently been reading the book "Drawdown: The Most Comprehensive Plan Ever Proposed to Reverse Global Warming," edited by Paul Hawken. 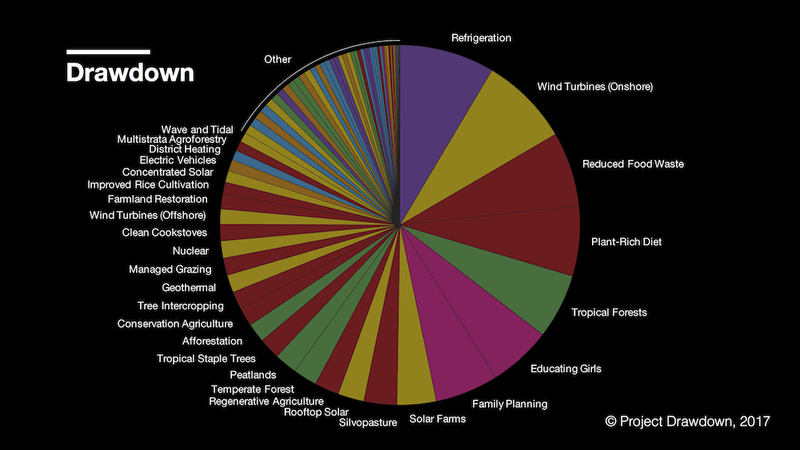 The book details Project Drawdown and it's ambitious plan to bring together 200+ scientists and researchers around the globe to analyze and rank 100 solutions to reverse the effects of climate change and global warming. Additionally, with the efforts to do this by 2050. 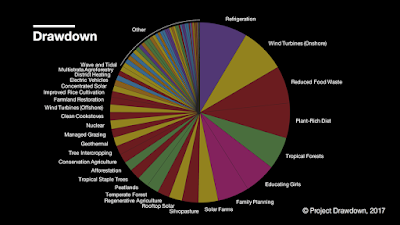 In the book they detail what each option would look like by ranking based on the number of gigatons reduces of carbon dioxide, the economic net cost, and the economic net savings. 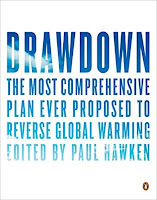 The term "drawdown" (as stated in the book & their website) "is that point in time at which greenhouse gases peak and begin to decline on a year-to-year basis"(page x in the Forward). They have broken their solutions into the following categories: Energy, Food, Women and Girls, Buildings & Cities, Land Use, Transport, and Materials... and they also share 20 "Coming Attractions" of innovative ideas on the horizon that have environmental potential. 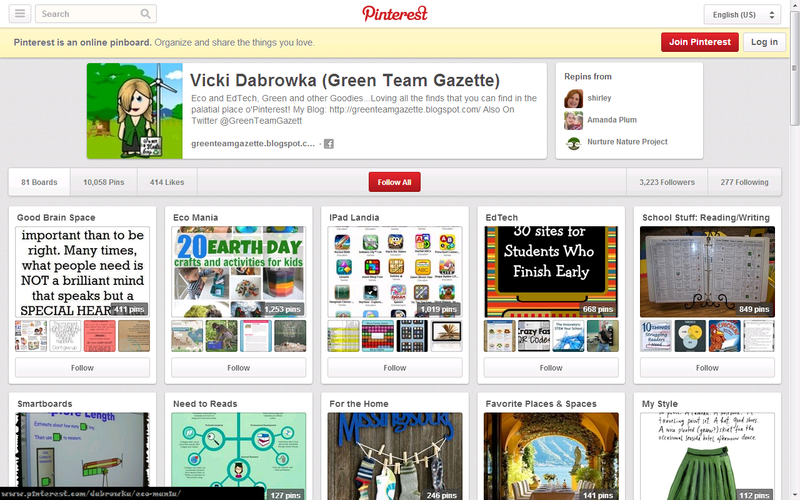 To learn more about Project Drawdown, check out their website, especially their Frequently Asked Questions page. Also online (or in the book), you can see the entire listing by rank.